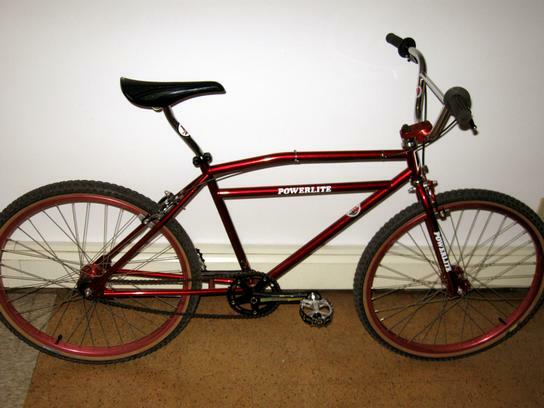 This is a 26" Powerlite 3 bar cruiser from ca. 1981. It has a flat brake bridge in contrast to the late 70's models, which came with a round bridge. Ukai, ACS high flange, Comp III 2nd gen.